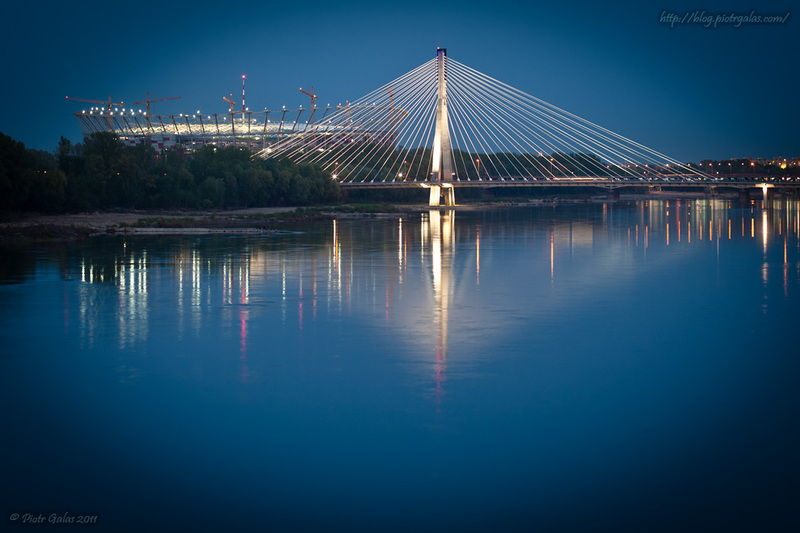 In the foreground you can see ?wi?tokrzyski Bridge and in the background there is Narodowe Centrum Sportu - Stadion Narodowy (National Center of Sport - National Stadium). This is the most important polish investition for the Euro 2012. Unfortunately guys responsible for stairs made some fuckup and right now 2-3 events are canceled or move to the other dates.